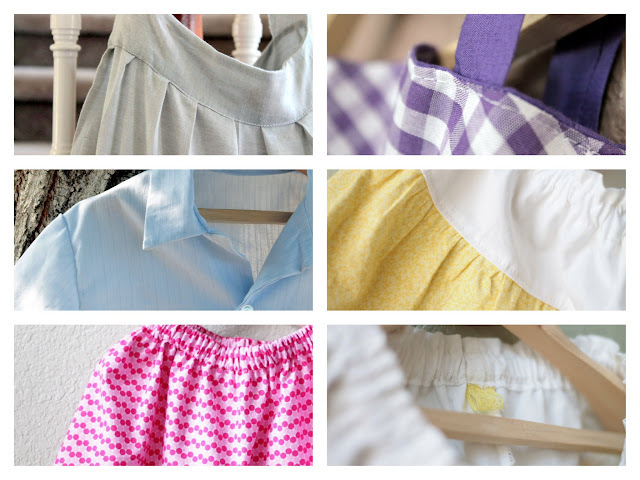 With all the serger tutorials on the blog lately, you might wonder when you're going to see some whole projects. I haven't had a chance to write up posts or tutorials; but I have been sewing! I'm hoping to have tutorials or at least project posts up for these in the coming weeks. While I was taking some of these pictures, I happened to notice that Amaani was very quiet. I swear she got in that cart all on her own. We think she wants to be returned to the toddler store! Have a wonderful weekend everyone! thats a true sign of a big girl!